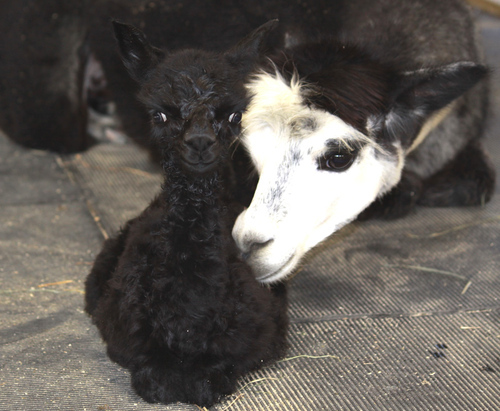 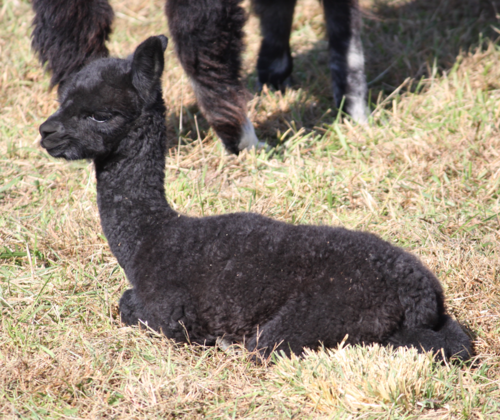 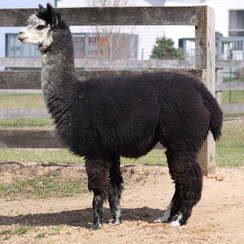 Mystic is a beautiful true black female out of AW Magic and her genetics include 4Peruvian Black Magic. 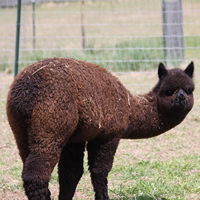 She has excellent staple length, nice crimp, and beautiful fiber. 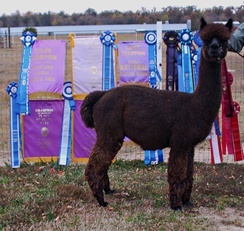 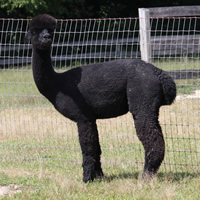 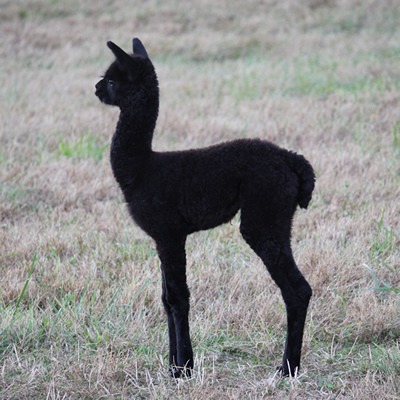 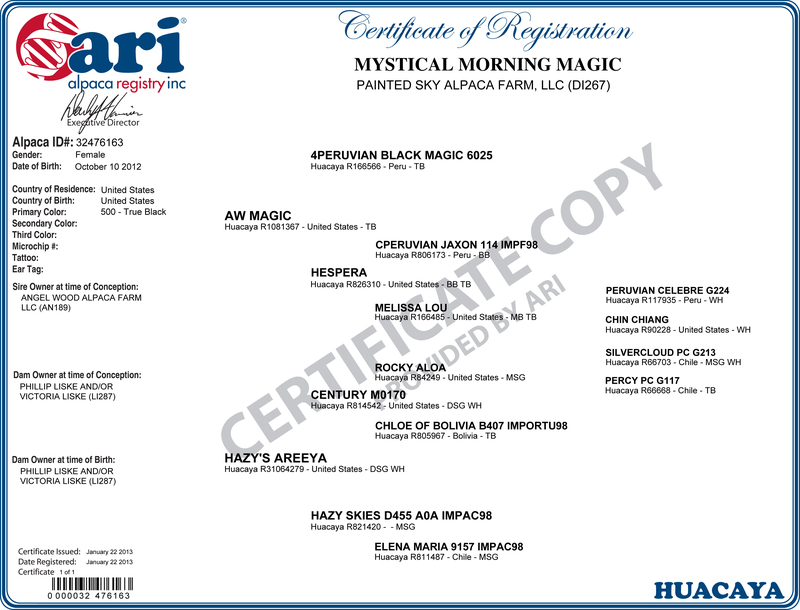 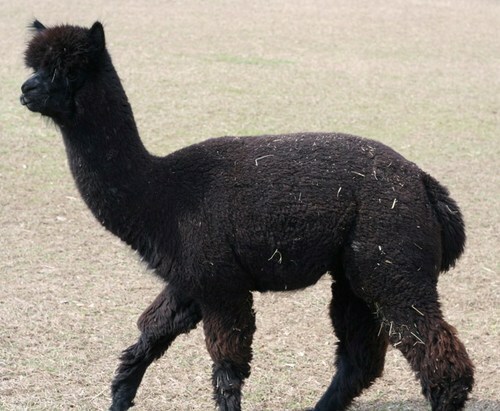 Mystic comes with one free breeding to any herdsire owned by Painted Sky Alpaca Farm and will make a wonderful production dam.